Shopping for One Piece Action Figures? Cute as a button! 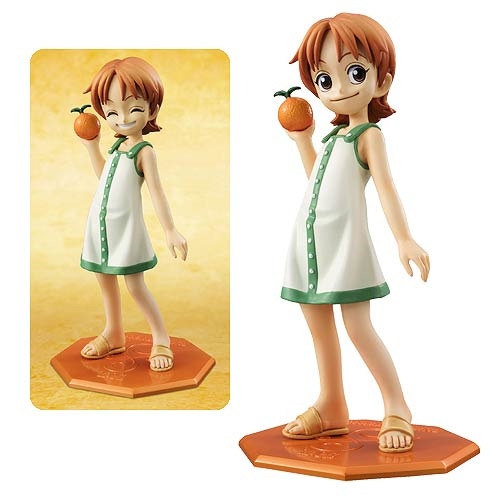 Featuring an alternate face and limbs, plus a display stand, this One Piece Nami Excellent Model Mild 1:8 Scale Action Figure stands approximately 5-inches tall. She belongs on your shelf! Ages 12 & up.